In the spring of 2013, Portland Bolt was selected to provide the anchor bolts for catenary poles on the Gold Line Foothill Extension project in Southern California. 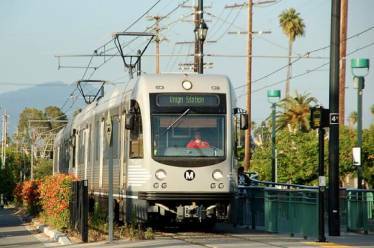 The 11.5-mile extension will add light rail tracks from Pasadena through the “foothills” of Arcadia, Monrovia, Duarte, Irwindale, and Azusa. Portland Bolt provided over 2,000 hot-dip galvanized F1554 Grade 55 anchor rods for the project, in diameters ranging from 1½” through 2¼”. Portland Bolt also supplied the welded flat bar anchor plates and shipped the order fully assembled to the jobsite. This is an example of a job Portland Bolt performs extremely well, with our ability to perform all the operations, including the galvanizing, here in our facility, and in a timely manner to help keep the project on schedule.